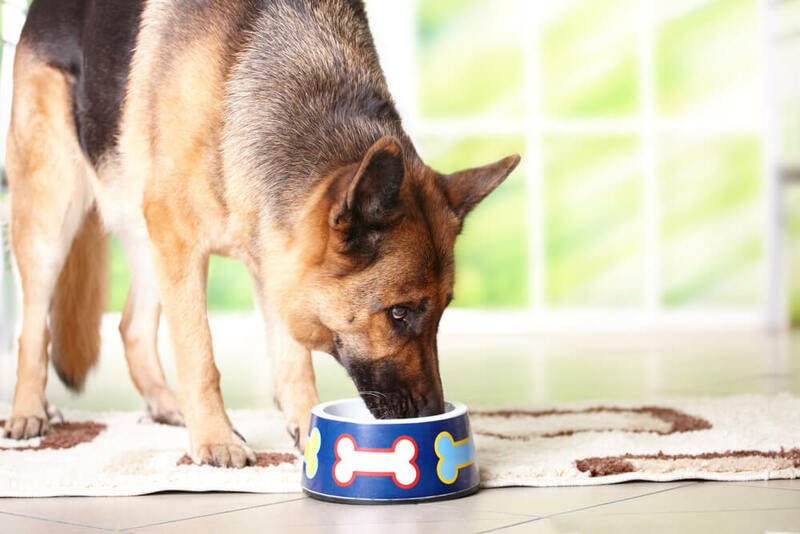 Finding the best dog food for German Shepherds will certainly improve the quality of your pup's life but with so many options available it can get overwhelming. We have put together a list of the top five dog foods that have been recommended by breeder and trainer specialists which will help narrow down your choices for your German Shepherd Dog (GSD). In addition we have also added recommendations for the best puppy food for those brand new owners who want to start off on the right foot feeding their German Shepherd a balanced and nutritious diet from the outset. Let's begin the countdown! First Five Ingredients: Deboned Chicken, Chicken Meal (source of Glucosamine and Chondroitin Sulfate), Brown Rice, Barley, Oatmeal. 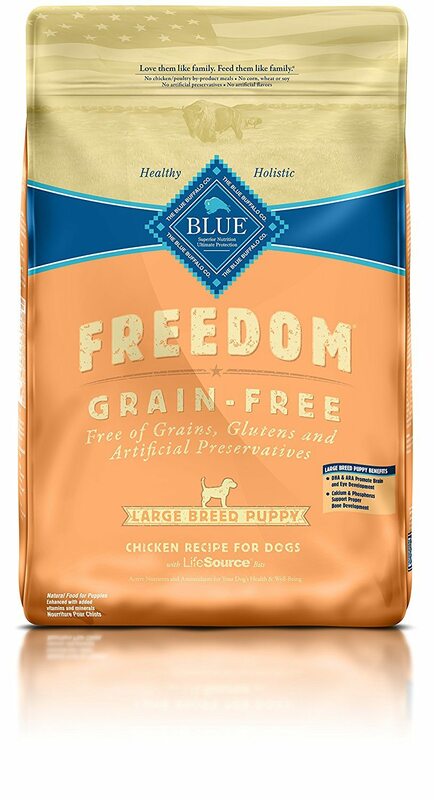 Blue Buffalo Life Protectio﻿n Chicken & Brown Rice is a recipe that uses deboned chicken, whole grains, and healthy fruits and vegetables to give dogs a balanced, healthy diet. 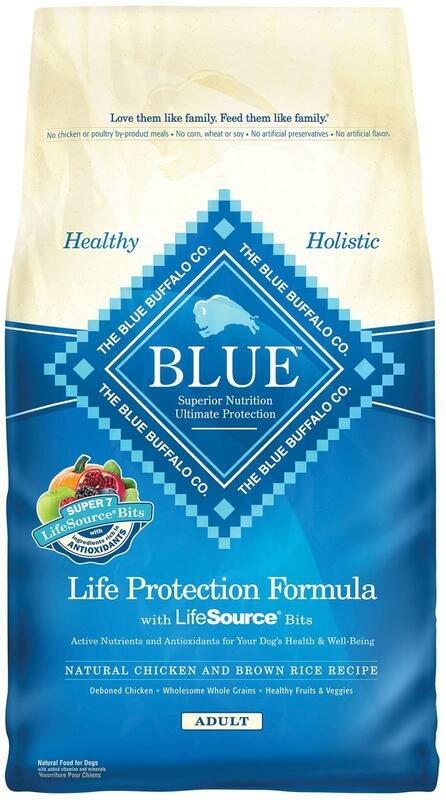 BLUE’s exclusive LifeSource Bits are a great way to ensure your German Shepherd is getting all the vitamins, mineral, and antioxidants needed to live a long and healthy life. BLUE works hard to provide owners the option to really feed their dogs like they would any other family member, meaning no fillers or harmful by-products. The food is moderate in protein with 24% crude protein. It is low in fat with 14 % crude fat, and only has 378 calories per cup. GSD's do well on Blue Buffalo - no digestion issues, weight is perfect and coat is healthy and soft. It is also recommended for German Shepherds pups with skin allergies. Switching to a holistic food like B﻿lue Buffalo can make all the difference in keeping your German Shepherd active, happy, and healthy. First Five Ingredients: Buffalo (source of a high levels of protein and iron), Lamb Meal, Chicken Meal, Sweet Potatoes, Peas. 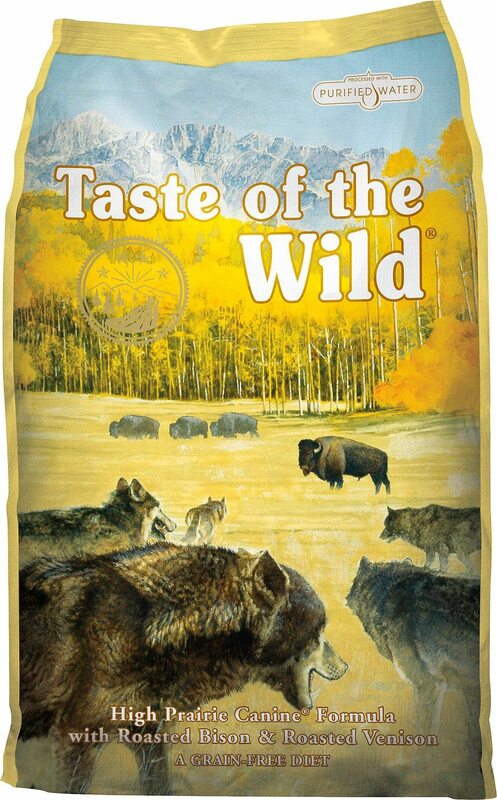 Taste of the Wild High Prairie is another excellent brand I recommend made with real roasted Bison and Venison as two high quality protein sources that will help give a German Shepherd all the energy it needs to perform at work or just enjoy life with it's family. This blend is supplemented with fruits and vegetables to make sure that dogs are getting the proper amounts of important vitamins and minerals, plus antioxidants for a healthy immune system. This brand is grain free so owners don’t have to worry about the food triggering avoidable allergies and sensitivities. This blend also contains glucosamine for joint support and a balance of omega-3 and omega-6 fatty acids for healthy skin and coat. The food is high in protein with 32 percent crude protein. It is moderate in fat with 18 percent crude fat. It has 370 kcal/cup.Owners who switched to using TOTW have found that their dogs have stopped suffering from problems as wide and varied as seizures, skin conditions, and lack of energy. T﻿aste of the Wild High Prairie is great for larger, active dogs like GSD's since it is high in protein and a cost-effective option for larger dogs who need to eat more. First Five Ingredients: Fresh chicken meat (13%), fresh turkey meat (7%), fresh whole eggs (7%), fresh chicken liver (6%), fresh whole herring (6%). Orijen Adult Dry Dog Food is often a popular choice among dog owners despite the fact they only make two types of dog food: freeze dried food and dry food. However, within these two types there are at least 7 formulas of dry food catering puppies, adults and senior dogs. You have your regular dry kibble and the freeze dried food is basically rehydrated and used as wet food. This blend has high proteins levels - 38% richly nourishing protein and a limited 19% carbohydrates. Is Orijen the best dog food for German shepherds? The answer lies in the composite of their meat content. Each Orijen formula contains around 75 and 80 % meat protein of 50 % of which is fresh meat. Protein is around 38-42% and carbohydrates around 25%. 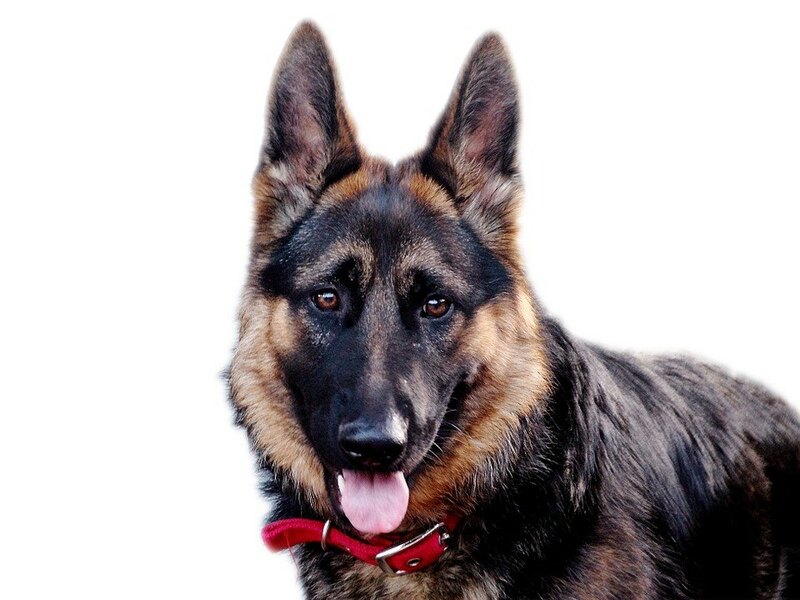 In essence Orijen meets the nutritional requirements which German Shepherds' need in their diet. This all life stages formula is AAFCO approved and can be bed to your GSD puppy, senior or adult dog. 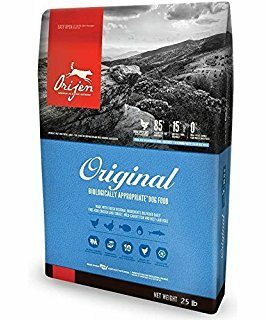 Orijen however isn’t the best affordable dog food for German Shepherds since it's pricier than our first few recommendations however it is a high-quality kibble if you can afford it. Owners should be aware that the different flavors and varieties of each Orijen dog formula will cause prices to vary. 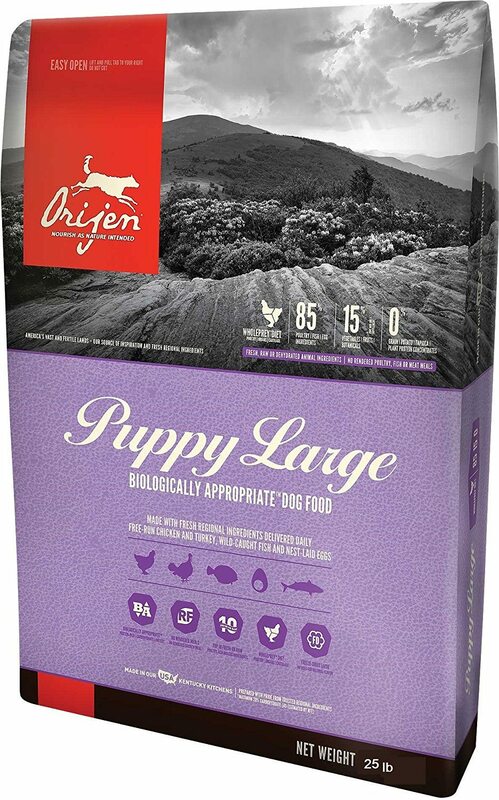 With that said a bag of Orijen weighing around 28.6 lb should last your German Shepherd a month as long as you stick to feeding your GSD around 2 cups of food a day (depending on weight). First Five Ingredients: Deboned Buffalo, Chicken Meal, Turkey Meal, Deboned Beef, Sweet Potatoes. Fourth on our list of the best German Shepherd food is a product from Merrick and out of their 11 dry dog foods blends we recommend Merrick Grain-Free Real Buffalo, Beef and Sweet Potato to feed your GSD. 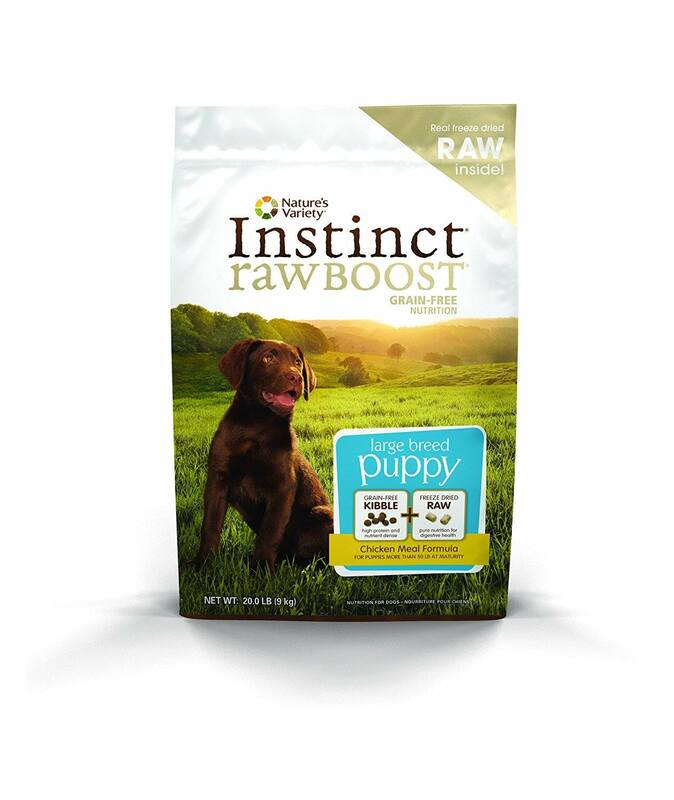 This formula is primarily made from deboned buffalo and has a good balance of 70% meat protein and 30% fresh produce ingredient ratio and is rich in Omega 6, Omega 3, chondroitin, and glucosamine which makes up the required macronutrients in a German Shepherd’s diet. It too has high levels of protein with 38% crude proteins yet low fats of 16%. It has 403 kcal/cup. Enthusiastically recommended by other pet parents especially those with dogs that are prone to skin issues and sensitive digestions wishing to swap to a low-carb yet high-protein diet. 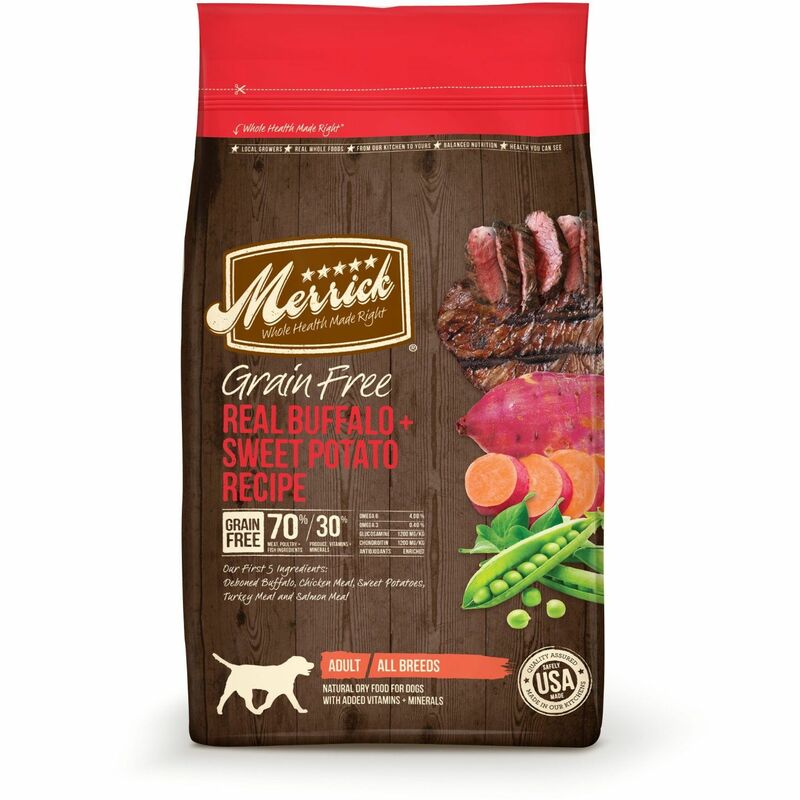 Merrick Real Buffalo, Beef & Sweet Potato is an excellent alternative of dry kibble for German Shepherds as it is a cheaper alternative to Orijen yet still high in quality proteins. First Five Ingredients: Deboned Chicken, Chicken Meal, Turkey Meal, Potatoes, Peas. 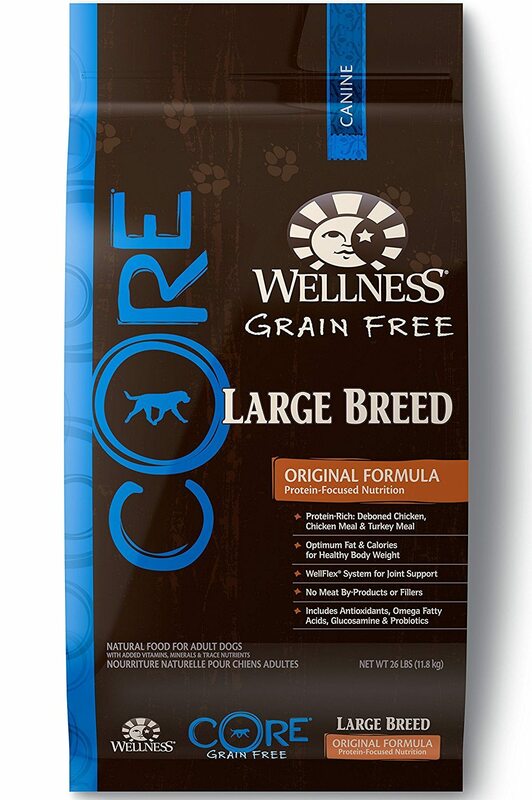 If you are looking for another great grain-free food for your German Shepherd, we recommend Wellness CORE Grain Free Large Bree﻿d Chicken & Turkey blend. It is 100% gluten- and grain-free, made in the USA and has raving reviews from owners alike. It comes in a larger kibble size and has added WellFlex system for joint support, crucial to a GSD for preventing hip dysplasia down the road. This formula is high in protein 34% and low in fat 12% which will keep your German Shepherd slim if he is overweight coming in at only 346 kcal/cup. The formula also contains glucosamine and chondroitin to help keep your German Shepherd’s joints and bones healthy reduce their likelihood of developing canine hip dysplasia and arthritis. In addition this dog food contains antioxidants, omega fatty acids, probiotics and is gluten-free. We think Wellness is a very good grain free dog food for your German Shepherd. What is the best food for a German Shepherd Puppy? Diet is very important in the growing months of a Shep’s young life. Your pup will eat a lot of food from birth right up to about six months old and will require as much as four times more than your average GSD adult. After six months, you can start reducing their food intake to about to about two meals a day. Thus, it’s important that you stick to “﻿﻿﻿pupp﻿﻿﻿y food” as this is higher in protein, vitamins, minerals and fats all essential for your pup’s health and growth. However regular food which is labelled “for all life stages” will also equally work. Ensure all foods meet the required AAFCO (Association of American Feed Control Officials) nutrient standards. For large-breed puppies such as the German Shepherd put them on a diet specifically designed for large-breeds in order to help prevent the development of hip dysplasia and other joint issues. With this in mind we recommend premium dry foods for your German Shepherd puppy that have a good history of recall-free and customer advocacy. Below are our recommendations for the best puppy food for German Shepherds. Here are some German Shepherd facts that may help you to understand why this working dog is one of my favorite of the big dog breeds. The Alsatian as it is also commonly known is very versatile because they can be very dedicated to their work and still be a great companion. The German Shepherd was the first dog breed to be used as a guide for the blind. They are one of the most popular dog breeds in the world today. Part of that has to be because they are such cute puppies when they are young. I know that all puppies are cute, but German Shepherd puppies are right up there at the top of the list. Loyal, protective, energetic and highly trainable. The German Shepherd is highly intelligent, very adaptable, energetic, strong and dependable. They demonstrate great agility with tremendous stamina. If you notice any signs of aggression in your pup, it is important to address it as soon as you can. Read more about controlling aggression in German Shepherds here. They are obedient and quick to learn, making them a rather easy dog to train. They are especially talented at tracking, agility, fly-ball, and ring sport. They are commonly and effectively used in Police and Military work, Search and Rescue, and as a seeing eye dog. An important fact is that German Shepherds require strenuous exercise and enjoy going for walks, family play sessions, and having a large area to run freely in. German Shepherds grow from cute puppies to big, strong, loyal dogs that can be a beloved member of your family. What is a Balanced Diet for German Shepherds? German Shepherds are large, high-energy dogs with a big appetite so they need healthy protein as a main part of their diet to maintain their energy. Owners can feed their German Shepherds high quality dry dog food but they will likely go through it fast. Many owners supplement their German Shepherd’s diet with healthy fruits and vegetables to make sure they are getting the best nutrition possible. It is also not good to stray too much from the dry food diet, since they are formulated specially to make sure dogs get all the vitamins and minerals that they need. Dogs should always have a bowl of fresh, clean water available to them as well. How much food to feed a German Shepherd Puppy and Adult? Depending on your own German Shepherd's age, size and activity level, the recommended feed is between 280g and 530g of good quality dry food each day. German Shepherds tend to rush their food causing them digestive problems. So, it is vital to manage their eating habits by dividing their food evenly into smaller and frequent meals. One caveat Alsatians, especially, tend to grow very quickly so avoid having your German Shepherd puppy on puppy-specific diet for more than 6 months. Go ahead and make the switch to an adult brand after 6 months of age and this will help to prevent bone and joint issues often related to rapid growth. If you concerned about how much should a German Shepherd puppy eat in terms of the exact nutritional needs and caloric requirements you should talk to your veterinarian. In general German Shepherd puppy should eat a diet which consists of 22% protein and 8% fat while an adult should be fed on a diet consisting 5% fat and 18% protein. Since they are a large breed, German Shepherds will need to eat more daily than smaller dog breeds. The best way for owners to figure out how much to feed their Alsatian is to go by the recommended feeding instructions on the chosen dog food packaging or to talk to a vet. Arthritis is a very common problem in dogs, but also one that often isn’t diagnosed until some irreversible damage is done. Once there is damage to the joints, they can’t be fixed without surgery. The best way for owners to treat arthritis is by giving their dogs supplements or buying foods with Glucosamine, Chondroitin, Sulphate and MSM which are natural sugars and help preserve joints. These ingredients help reduce painful inflammation and assist in tissue repair and strengthening. Bloating in German Shepherds is quite common and is a problem that occurs when a dog’s stomach dilates and then twists, causing issues like damage to the cardiovascular system and decreased absorption of nutrients in the blood stream. This problem is more common in large dogs. Owners can work to prevent bloating by not overfeeding their dogs or exercising them too soon after eating. Choose foods without common allergens such as wheat, beef, lamb and soya as these may contribute to digestive problems as well as skin problems. Von Willebrand’s disease is a common inherited bleeding disorder in dogs that is like hemophilia in humans. Dogs with this disease are deficient in vWF, which helps with blood clotting when an injury occurs. Some symptoms of Von Willebrand’s disease include nose bleeds, bleeding from the gums, excessive bruising, and prolonged bleeding after surgery or injury. Although more severe cases may need transfusions, most dogs can live normal lives with this disease as long as their owners monitor them for any problem signs. Added Calcium and Phosporus which is essential stronger bones. Added Taurine to help maintain a strong and healthy heart. A balanced Omega 6 and Omega 3 ration to help maintain a shiny coat and healthy skin. Extra Vitamin C, Beta-Carotene, and Selenium Yeast to help boost the immune system.